What will happen to your ashes if you are cremated? 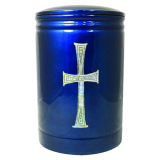 The crematorium will return the white bone-ashes to your next of kin in an uninspiring container, or scatter them in their own Garden of Remembrance. You can therefore choose what happens to the ashes: where they should be kept and in what, whether they should be preserved or scattered, or even sent on a special journey. Taking some time to think about what you would prefer can be helpful both to you and those left behind. 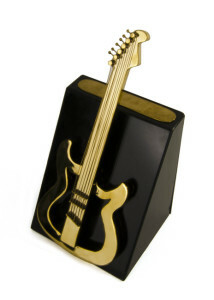 Many companies now supply urns and ash-boxes in a variety of shapes and sizes. Your choice may be guided by whether you plan to bury the urn or keep it in a special place, as some are designed to decay in compliance with burial ground rules. 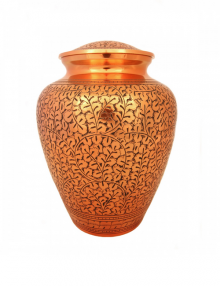 You can opt for a traditional ceramic, stone or wooden urn from companies such as Stylish Funeral Urns or a more modern look. If you have decided to dispose of most of the ashes by burial, or perhaps scattering, you might wish to have a small portion set aside as a keepsake. Presentation boxes and artistic sculptures can make these an attractive item for display. 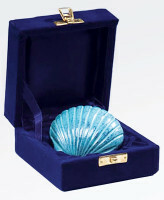 Your ashes can themselves be used to make jewellery or works of art, a unique way remaining present in the life of those peft behind. Or through various processes companies such as Ashes Into Glass will create a bespoke pendant, ring or cufflinks incorporating a sample of the ashes. 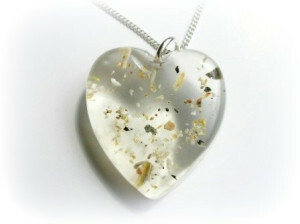 You can even have a real diamond made from the ashes by Memorial Diamonds. Wish to “go out with a bang” or have a final flight? You can have your cremated remains incorporated into a unique firework display, or a series of self-fire rockets: a service offered by Heavenly Stars Fireworks amongst others. Or simply have ashes added to a helium balloon, to pop far above your favourite part of the country. The more adventurous could be fired up into the stratosphere to be released back into the universe by companies such as Stardust Ashes, or taken on a space flight by Celestis. Tattooists now offer a service which incorporates a sample of cremated ashes into the artwork etched into the recipient’s skin. Truly a way of staying in touch. Less controversially you can have the ashes mixed with other media, such as paints or clay, and commission a unique piece of memorial art (try Art to Remember). 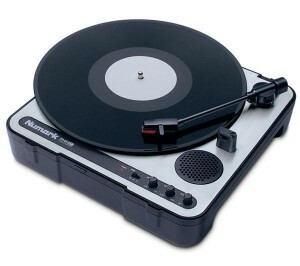 AndVinyly even offers to press your ashes into a vinyl record, giving your loved ones the chance to hear your final message, favourite tracks… or just your simple ‘pops and crackles’. With so much choice, how could you not at least give it all some thought?